Pamela Allen is an award-winning Australian children's author who is originally from New Zealand. 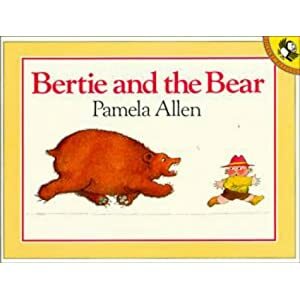 She's written numerous books since the 1980s but may not be as familiar to US children. I picked up this book from another toddler-friendly book list. It's a fun read about five animals of various sizes who decide to go for a boat ride. As each animal tentatively enters the boat, the child is asked "do you know who sank the boat? was it the [animal name]". Jonathan really enjoyed this book. It took a couple readings for him to understand the story, but he started chiming in "No!" or "Yes!" when the animal enters the boat. This book won the 1983 Australian CBC Picture Book of the Year. 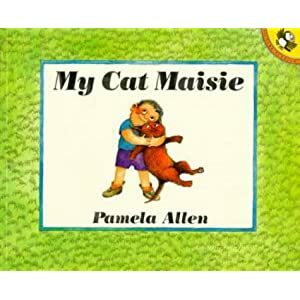 My Cat Maisie is a cute story with a wonderful lesson. Andrew is a little boy who wants a pet of his own. He is delighted when a stray cat appears at his doorstep. However, he is overly excited and not too gentle with the cat, which then runs away. Andrew sets out to find the cat, but encounters the neighbor's big dog Lobo instead. Lobo is overly excited to play with Andrew and is also not too gentle. When the cat reappears at Andrew's window that night, he very gently pets the cat and names her Maisie. This is such a cute story and teaches by example how we need to be gentle and thoughtful with animals. The illustrations help tell the story without being very preachy at children. I really enjoyed this book and it was a great platform for talking with Jonathan about how we need to be gentle at times. Jonathan really enjoys both his nana's and uncle's dogs and, like Andrew, is prone to get very excited around them. I think this is a book we'll check out again! 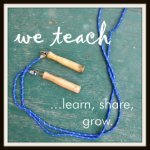 Our Worldwide Classroom reviewed The Potato People and has a fun craft to go with it.